He resigned his commision after the Battle of Shiloh. Later that Summer he enlisted as Captain into Co. A of the 12th Kentucky Cavalry. In 1864 was promoted to Regimental Staff to the rank of Major. During the Atlanta Campaign was placed in command of the regiment. During "Stoneman's Raid" in December 1864, Harrison was given special assignment to hand pick 300 of his best men and horses, and ride deep behind enemy lines. This was to cut Gen. John Breckinridge's communications from Lynchburg and Richmond. They were also ordered to burn bridges and cut the railway to prevent Confederate reenforcements from reaching Saltville. After completing all of these objectives Harrison split his command and proceeded to destroy the Thomas Iron Works, outside Marion, VA. He sent the other part of his command into Rye Valley, deeper behind enemy lines to destroy a lead mine in the area of Sugar Grove. This is where my great great grandfather Frank Havens was wounded for the third time and captured, along with 14 others. After the raid, on Dec. 22, 1864, Gen. Stephen Burbridge requested the War Dept. to promote Major Harrison for his "meritorious Actions" during the expedition to Saltville. The War Department granted Burbridge's request and promoted Harrison to the rank of Brevet Lt. Colonel. 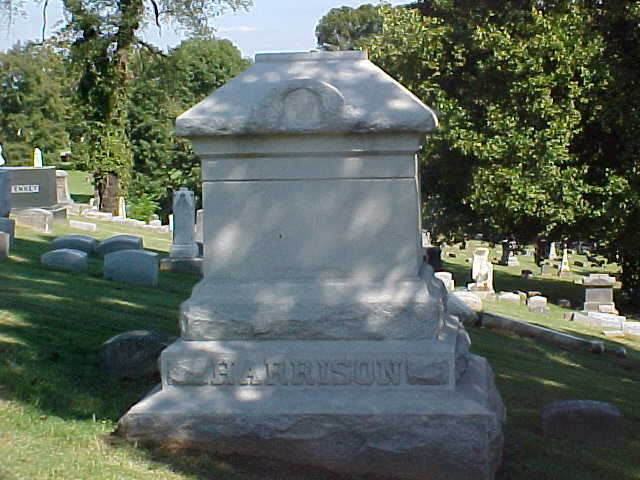 He is buried in Oak Hill Cemetery, Evansville, IN.